There comes a time on Earth for all life to be renewed, and for past truths to be known. In THE CRYSTAL CHANNELERS, Sharon Ann Rowland’s wildly inventive, thought-provoking new science-fiction fantasy series, the time when all is revealed is 2018. And the place for age-old truths to shine forth is the majestic, yet unrelenting terrain of Australia. Following the lives of six seemingly normal Australians, this globetrotting, time-travelling set of books is certain to rivet anyone who relishes richly drawn characters, unrestrained imagination, abundant humour, and a dash of romance. Book 1, THE CRYSTAL CHANNELERS AND THE LAST REINCARNATION, introduces the six main characters of the series. These include the heroine Sam Everett, a beautiful forty-year-old psychiatrist with Queensland Health; Varnin Alemanni, a rugged twenty-seven-year-old cattle property owner from Longreach; Peter Sabar, a perpetually randy young medical student from Sydney; Maggie Edwards, a nurturing Alice Springs publican; York Long, a promiscuous police superintendent from Margaret River; and Doc Abysinnia, the mysterious aboriginal doctor who brings the six together and into their new roles as Crystal Channelers. Their ordinary lives disappear when the Earth is dealt a lethal blow from an unknown enemy, and all humans of mixed blood are wiped from the face of the planet. As they rebuild their lives and learn to love and trust one another, they must look to the past to forge a new, more tolerant future. In their dreams, each is able to inhabit a previous life, not always within the race and culture that they are now a part of in 2018. Sam recalls her past life as Deirdre in Ireland (967 AD) and France (1945), Maggie as Guanyin in China (1100 AD), Varnin as Heracles in Crete (1264 AD), York as Thunder Helper in the Americas (1800 AD), while Peter conjures his life as Hang Tuah in Malaysia (Fifteenth Century). Every good story must have a villain, and THE CRYSTAL CHANNELERS AND THE LAST REINCARNATION has many, including Hunter, Varnin’s twin brother; Kreug, the twin’s evil father; Billie, Varnin’s estranged wife; Father Brian and the Brothers of the Carbrook Community Christian Church; and Devon and his Mountain Men. As each of the Crystal Channelers taps into his or her primordial identity through the power of their crystals, they must embrace their new gifts, honour the Crystal Law, and adapt. Action-packed with nuanced characters and surprising twists of plot, THE CRYSTAL CHANNELERS AND THE LAST REINCARNATION is certain to enthrall anyone who has a wanderlust for faraway places and long-ago times – and the equalising power of friendship and love. 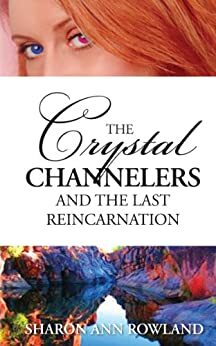 The Crystal Channelers and the Last Reincarnation tells the tail of a group of people tied to crystals and given different powers. When a strange rain destroys life on earth, they try to preserve what is left of humanity as well as unravel the secret of the crystals. Ms Rowland weaves and interesting tale. However it does bog down at times. Still, she does a good job balancing the complex interrelationships she has woven. The book was very well written, it keeps you interested all the way till the end, thanks for a great read!